A jumbo loan, also referred to as a non-conforming mortgage, is a loan for homeowners that need a larger loan that is greater than the conforming loan limit in their area. In 2017, Fannie Mae and Freddie Mac implemented a conforming loan size limit of $424,100. However, loan limits can exceed this limit in higher-priced markets. Typically, people will use a jumbo mortgage if their loan amount is greater than $417,000. Regardless, make sure you check your area’s loan limits to see what is classified as jumbo. As a rule of thumb, most mortgage lenders will deem anything higher than $417,000 as a jumbo, even in high-cost areas. 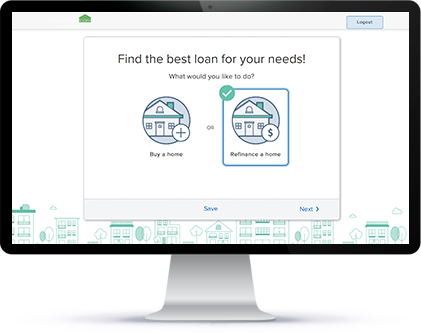 What are jumbo loan requirements? As if you were applying for a conforming loan, jumbo loans have a similar application and evaluation process. Mortgage lenders will look at your credit score, down payment amount, current debt, debt-to-income ratio, employment history, money left over from closing and more. Jumbo loans require borrowers to have a minimum credit score of 680. This credit score gives borrowers the most loan options available. However, the higher the credit score, the better rates and terms will be offered. Money left over from closing, also known as reserves or post-closing liquidity, is closely looked at by your mortgage lender. If borrowers are applying for a jumbo loan, lenders like to see 12 months of reserves after the closing, half liquid (in a checking or savings account), and half calculated from retirement assets. An exemption lenders will make is if your debt-to-income-ratio is low and your down payment is high. Higher debt-to-income ratio – Most conforming loans with 20 percent down or greater, lenders will require that your total monthly mortgage, plus all other monthly bills does not exceed 43 percent of your income. However, with a non-conforming loan, if you documented a substantial amount of cash reserves after closing, you could get a jumbo loan with a debt-to-income ratio higher than 43 percent. Flexible income calculations – Jumbo loans may require less calculations than a conforming loan. For example, if you were self-employed and applying for a jumbo loan, lenders may require to see one year of filed returns to prove your business was stable and growing. As for a conforming loan, lenders require to see two years of filed self-employed tax returns. Less than 20 percent down and no mortgage insurance – Jumbo loans offer some flexibility when it comes to the down payment. Jumbo loan down payments can be as little as 10 percent for loan amounts of $1 million and sometimes higher. The upside to putting down a low amount, jumbo loans do not always require mortgage insurance, unlike conforming loans. However, lenders will issue a rate that’s about .25 percent higher and require at least 30 to 36 percent debt-to-income ratio if borrowers put less than 20 percent down. What are jumbo loan rates? In the past, jumbo loan rates were much higher than conforming loans. Now, most lenders are shifting gears and jumbo loan rates have been equal or slightly higher than conforming loan rates. Jumbo loan rates vary from lender to lender and from state to state. You will need to research multiple lender’s current rates and your state’s regulations to see what can be offered to you. What is the jumbo limit minimum credit score required? This varies from lender to lender. However, most lenders like to see a credit score higher than 700. In some cases, as high as 720. The minimum credit score a lender would accept for a jumbo loan is 680. Keep in mind, these requirements are different for each lender, so research several lender’s qualifications to see where you will be approved. What is the jumbo size limit? A mortgage that is larger than the conforming loan limit set by Fannie Mae and Freddie Mac is considered a jumbo loan. In most countries, any mortgage that is more than $424,100 is classified as a jumbo loan. However, in higher-priced areas, the conforming loan limit can be as high as $636,150. This depends on the state and town the home is in, so research which areas have higher priced homes. In Illinois, the jumbo size limit depends on which county you are looking to purchase your home. If you purchase your home with a Governmental Sponsored Enterprise (GSE) loan (issued by Fannie Mae and Freddie Mac), the jumbo size limit for a 1-unit is $424,100 in all counties. However, if you use a Federal Housing Administration (FHA) loan, the jumbo size limit varies across all 102 counties. You can look up your specific county to obtain a more accurate number. What are jumbo loan reserve requirements? A cash reserve is leftover or extra money the borrower has after closing. Some lenders require a cash reserve to see if the borrower has adequate funds to finance the home prior closing. The type of loan you finance will determine how much money the lender will require to see. For example, if you were to finance a conforming loan, some lenders may require to see at least 3 months’ worth of funds to cover mortgage payments. On the other hand, almost all jumbo loans require a significant cash-reserve. In some cases, lenders may require borrowers to prove they have 12 months’ worth of funds to finance mortgage payments. Jumbo reserve requirements are much stricter than conforming loans because they require a larger amount of money to purchase a home. During your pre-approval process, your lender will evaluate your financial history and status to determine if you meet their qualifications. They will also tell you how many months of reserves you will need in order to qualify. The number of months varies from lender to lender and depending on how large the loan is can influence the duration as well. What can I put as a down payment for a jumbo loan? As a rule of thumb, the down payment should be 20 percent of the home’s value. If borrowers were to put less than 20 percent, lenders may require borrowers to purchase private mortgage insurance (PMI). With a jumbo mortgage, it is highly recommended to put down 20 percent, and in some cases, higher. Depending on the type of property and loan amount you are approved for, will determine what will be needed for your down payment. Ultimately, the amount needed for your down payment will reflected off your own personal and financial situation.